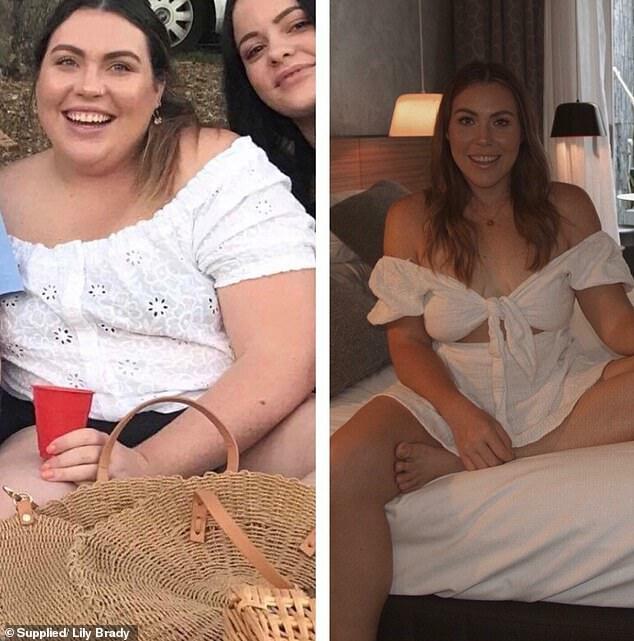 A makeup artist from Brisbane has revealed how she shed a staggering 35 kilograms in under a year by ditching chocolate milk and chips and taking up exercise. 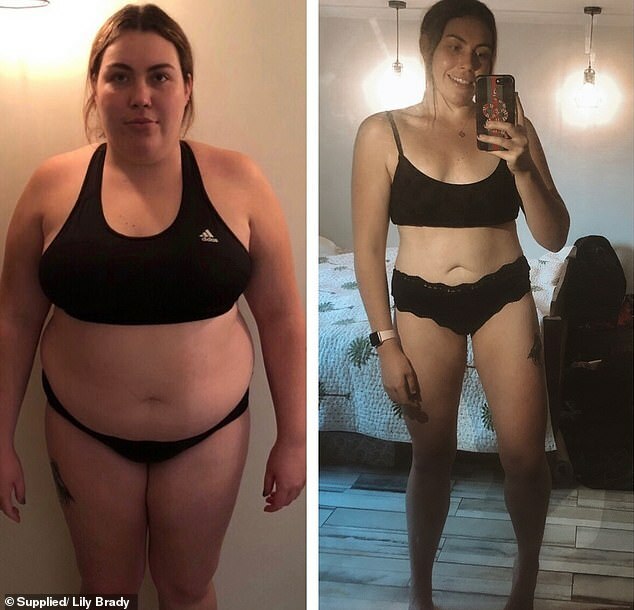 Lily Brady tipped the scales at around 104 kilos at her heaviest, when she decided to take charge and do something for the good. 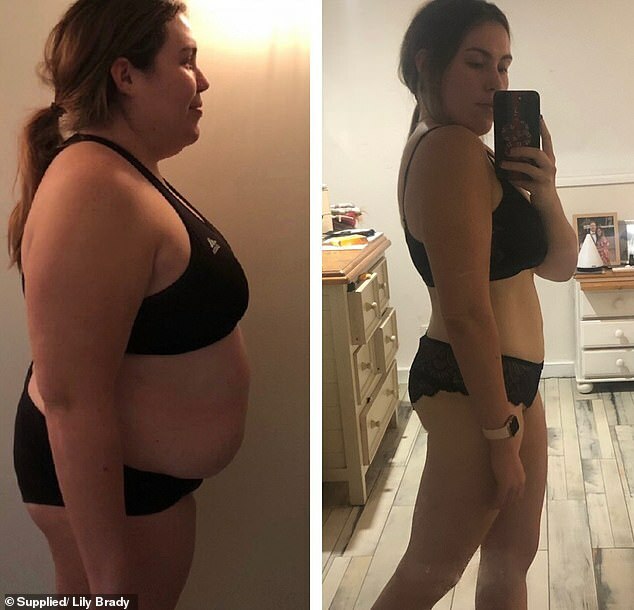 The 23-year-old then downloaded the JS Health app, an app devised by nutritionist Jessica Sepel, and started switching out unhealthy foods for more nutritious options. Less than one year later, Lily now weighs 69 kilograms and is feeling better than ever. Lily told FEMAIL that while she was always a slim and sporty child, she put on weight in her teenage years when she ‘stopped exercising’. ‘During school I was always fairly active. 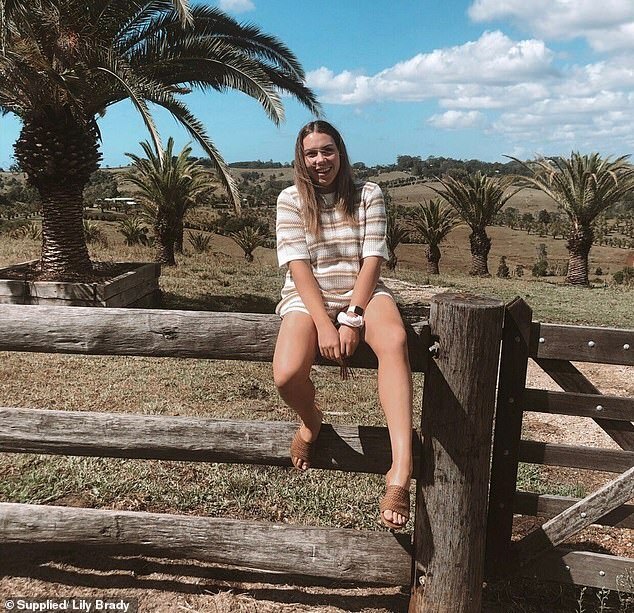 I played basketball for club and school as well as beach volleyball socially,’ she told Daily Mail Australia. * An air fryer is a compact appliance that uses convection heating to circulate air around your food. * The food is held inside in a basket and a fan rapidly moves air around the food, surrounding it in a similar way to food submerged in hot oil in a fryer. * Conventional ovens work by producing heat from an element. The heat is slowly dispersed through the oven over time. Air fryers use rapid technology. * With the air fryer, you don’t need to use any oil at all. It crisps food without oil. Before she knew it, the 23-year-old said she started piling on the weight. ‘My mindset at my heaviest weight was in a really bad way,’ she said. ‘I put on a happy face around friends, but would cry most nights at how unhappy and unhealthy I was. ‘Everything seemed so unfair. I had friends who could eat the exact same as me and remain a size 8. Lily said she was ‘sluggish, really lazy and had a pretty negative mindset about a lot of things’. What was Lily’s day on a plate before? BREAKFAST: Avocado toast with bacon and eggs. LUNCH: Toasted sandwich with ham and cheese and mayonnaise on white bread. SNACK: Chocolate milk, avocado dip and corn chips. What is Lily’s day on a plate now? BREAKFAST: Vanilla protein smoothie with berries, matcha, cinnamon, almond milk and spinach with JS Health vitamins. LUNCH: Lots of greens and some protein to make a Buddha bowl. SNACK: Homemade protein balls or carrot sticks. DINNER: Fish and air-fried vegetables or chicken stirfry. Lily stumbled upon the JS Health app on Instagram, upon which point she decided to buy it straight away. 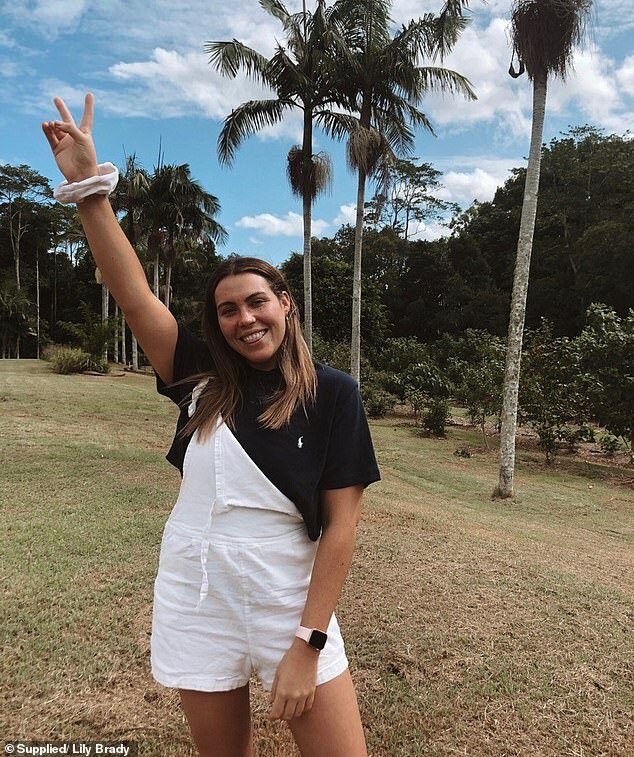 ‘I started pre-planning my meals for the week and getting excited about the food I was planning rather than feeling flustered last minute about pulling something together,’ she said. Lily also said she joined a gym called ‘Total Fusion’ that works on both the body and mind. ‘It took a while to change my attitude as before if I didn’t see changes instantly, I would hate and shame myself,’ she said. Slowly and steadily, she got ‘stronger and happier’ mentally – and the weight began to come off. 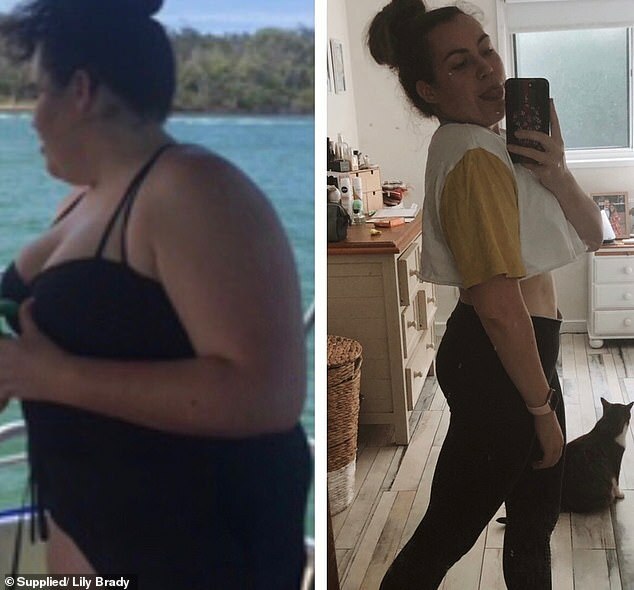 ‘I got fitter and stronger each time I went to the gym, but for me to notice a physical change took a lot longer,’ she said. However, the 23-year-old said she taught herself to be kind to herself ‘rather than picking out my flaws’. 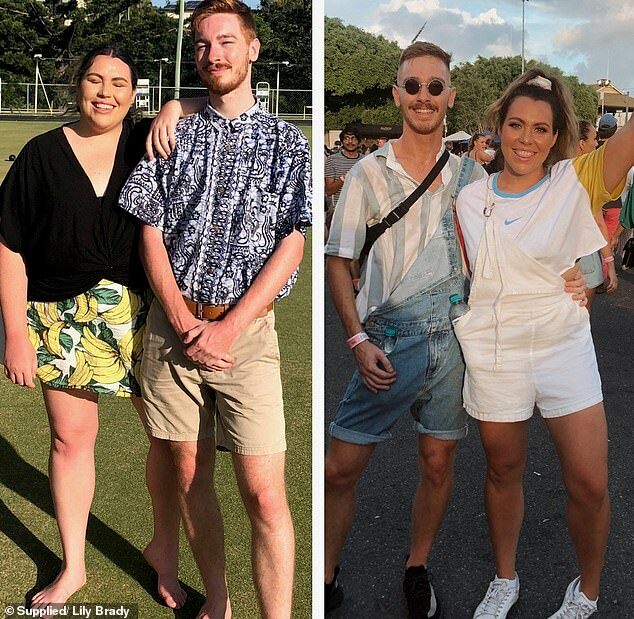 ‘I now weigh around 69 kilograms and am trying to step away from the scales and not check them as much,’ she said. Speaking about her tips for other people who want to shed weight, Lily said the key is that you have to ‘love yourself’. ‘Tell yourself that you are worth nourishing,’ she said. Lily said she has ‘such a positive outlook on life now and it’s all come down to loving myself and changing my mentality’. ‘Realise that you can make small positive changes and become your healthiest self,’ Lily said.